The start of the 2014 Community Summit is soon approaching! To celebrate, we've released more tickets to Will Innovation Save Us? with Ray Kurzweil and Richard Florida, moderated by CBC's Amanda Lang on October 22. Buy yours before this very special evening sells out. 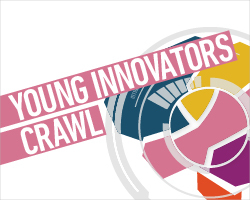 Free events you can still register for include our Young Innovators Crawl showcasing innovators 30 and under in creative hubs around Vancouver and a public exhibition of ideas to address sea level rise. It's never too late to get involved in an SFU Public Square event - see below for details of all our October events and register now! 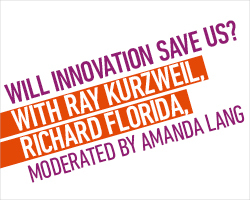 Join us for a not-to-be-missed evening of provocative discussion at the Queen Elizabeth Theatre with Ray Kurzweil and Richard Florida, moderated by CBC's Amanda Lang as we explore the opportunities and challenges of innovation. This is an exciting opportunity to hear from two of the leading thinkers on innovation of our time! Buy your tickets online now. Meet inspiring young innovators 30 and under from the worlds of design, technology, sustainability, arts and culture, and social innovation. Explore your community and check out the studios and workspaces of an amazing line up of Vancouver's best and brightest! Enjoy live demonstrations, informal talks, food trucks, music, pop-up exhibitions, dialogue sessions, and more. Register free now and you could win prizes on the day! 6 October at 5pm. Don't miss your chance to take home a cash prize of up to $35,000! Not entering a team but still interested in RISE? 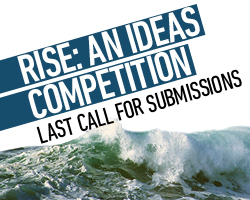 Visit our free public exhibition of RISE ideas on 19 October, listen in on team pitches to our judges, and find out more about how Metro Vancouver can adapt and thrive in the context of sea level rise. 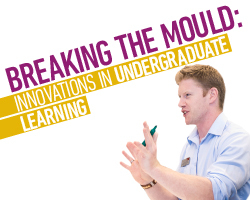 A dynamic, one-day conference bringing together leading academics, policy-makers, and innovative educators. Interactive by design, with demonstrations, workshops, activities and a unique learning festival space. See the list of speakers and find out more about the interactive sessions to showcase innovative programs, projects, and student-oriented technologies. 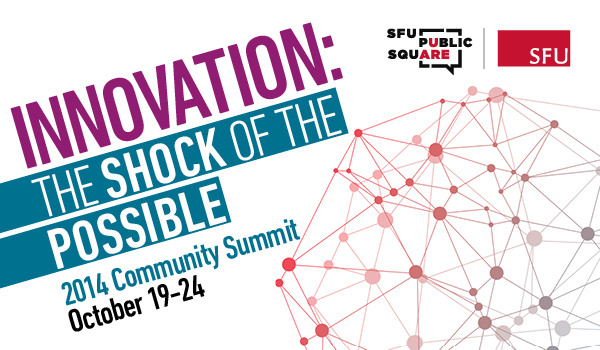 SFU Public Square, in partnership with Vancity, presents a morning of thought-provoking insights from Michael Shuman on the Power of the Local Economy; practical tips through peer-to-peer presentations; and roll-up your sleeves interactive how-to sessions. SFU has developed successful new waste management models and is exploring ways to eradicate sources of waste before they need to be managed. Join us at this event where experts will lead a dialogue on how to foster a climate for zero waste innovation in Metro Vancouver. Celebrating Open Access Week, SFU Library is delighted to bring together a range of perspectives on open textbooks. Join us for an interactive session featuring three speakers actively engaged in the production, adoption, and use of open textbooks. Hear two great authors of poetry, fiction and non-fiction exchange ideas on culture, poetry, language and ideology. Dr. Aknin presents evidence that people feel better when spending money on others than when spending on themselves - even children under the age of two!